You rarely change typing tools because of types. I will start with the most important aspect of all technical decisions. 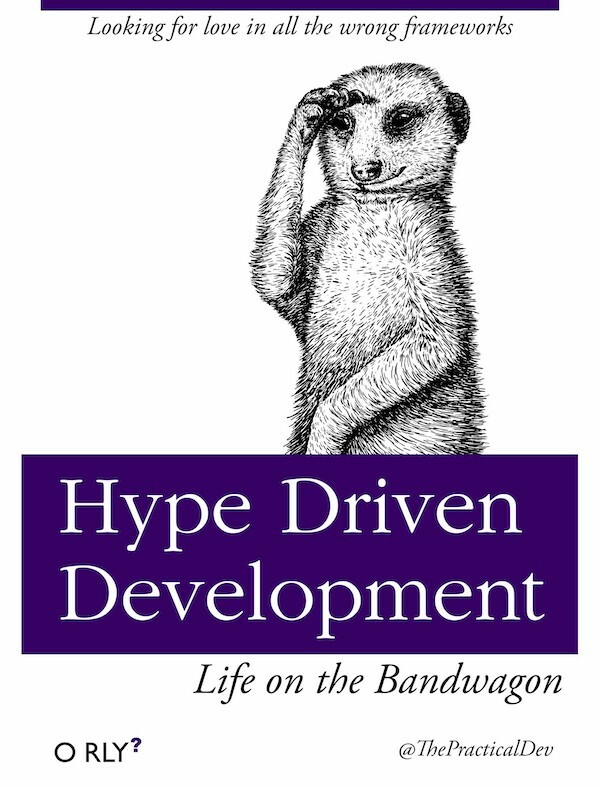 Yes, it is about hype-driven-development. Please, do not make your face like this. I will explain how it works, and possibly you will change your mind. I quite often speak about our stack, write articles about it, etc. 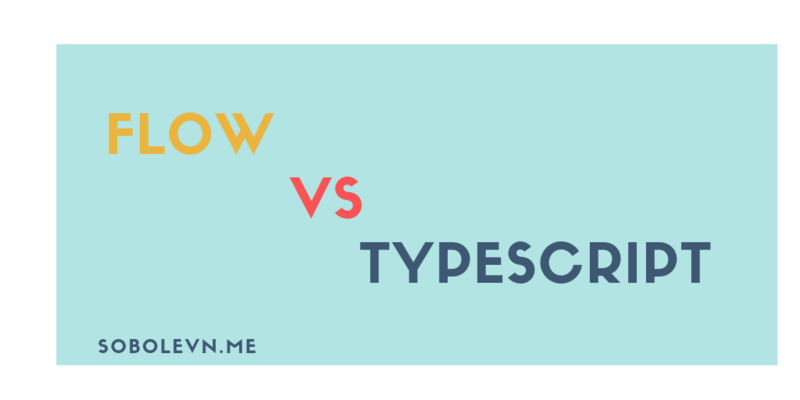 And every time I said that we were using Flow other developers asked me: “But why not TypeScript”? And every time I had to explain my choice. Going deep into details, history, and tooling. Sometimes even explaining the state of current projects and our workflow. This was not a pleasant experience when you are not advocating for something. I was just a user. I do not really prefer one to another. And it felt really strange to had this conversation over and over again. Moreover, we make services for our clients, and we hire other developers. And some of them literally wants to work with TypeScript and does not want to work with Flow. Why? Because they heard about TypeScript and how awesome it is. While the hype train around Flow is not so massive. Dev: Flow? Why not TypeScript? If you do not want to fight this hype train but make it work for you it is better to step aside and use whatever is hyped. Keeping in mind that there’s no massive change for your current workflow. Vue 3.0 will support TypeScript out of the box, Nuxt already supports TypeScript. There are a lot of projects that ship types together with the source code. axios, vuex, vue-router, lodash to name a few. What about Flow support? Vue currently uses Flow for typing (switching to TypeScript starting from 3.0), but these types are development only. You cannot take them and use in your own projects. Maybe there are different types? Yes, Flow has its own repository for types. The problem is that installing types is a whole new extra step. You have to configure postinstall hook to make sure that types are also rebased after each npm install call (yes, they use git rebase). When you will dig into flow-typed packages you will find that it is mostly React oriented. Flow even has a lot of React primitives in the standard library. Which I find really strange. But what about Vue specific types (since we use Vue a lot)? Yes, you can find @vue-flow-type package maintained by a single person. The sad thing is that I am this single person. I am really tired of maintaining types for several popular projects. And as you can imagine there are bugs, type changes, new releases, etc. TypeScript wins this one for me. Its distribution system does not force me to do extra work. Just install something and it will work. Because types/ subfolder is shipped together with the source code via npm. No extra steps are required. Library authors maintain types/ folder together with the rest of codebase. They can be sure that everything works correctly. Let’s discuss IDE support for Flow projects. Or I would say “no IDE support”. That’s not a big thing, I can write my code using just nano. But I spend a lot of my life inside text editors and I want them to be friendly. Sadly, Flow plugins for all major IDEs (and text editors) are buggy and unreliable. For example, VSCode plugin does not work at all. And at the same time, VSCode is known for its first-class TypeScript support. With intellisense, type-checking, and autocomplete out of the box. 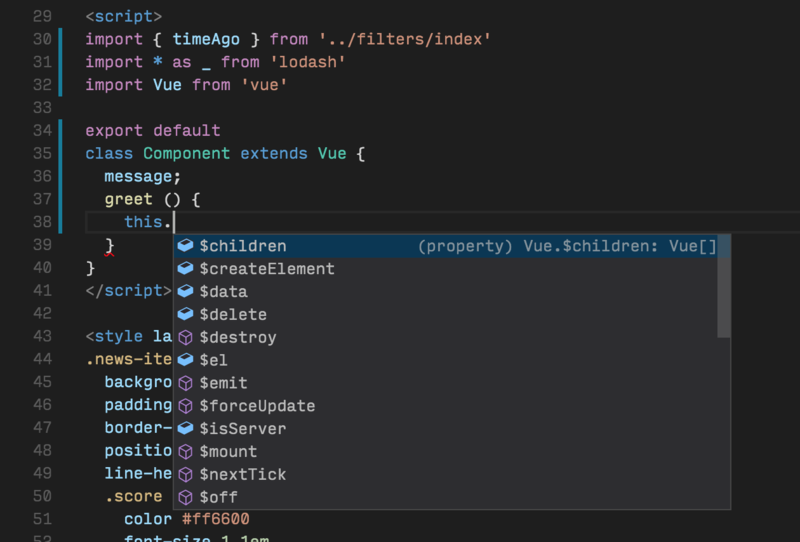 Have a look at our VSCode + TS + Vue setup. With this simple feature, your development workflow starts to feel more responsive, and the feedback loop time is significantly decreased. The other thing that was ruining my Flow experience is the number of unfixed bugs in Flow itself. For example, when you install Vuex all Vue components are extended with an extra property which can be accessed with this.$store. The thing is there’s no way to tell Flow that Vuex was added. And this bug is opened since 2015, for 4 years now! * Represents our extended Vue instance. * We just use the annotations here, since properties are already injected. But now you have to maintain your own types by yourself. Do you want to add this.$router property? Please, add it yourself. Nuxt specific types? You are on your own. Existing types can be extended with special declarations. And library authors do that for you. Remember what I said about types distribution? This feature makes the distribution even better. The second well-known bug from 2015 is that you cannot annotate this even if you have to. Some libraries have strange APIs. With Flow you just cannot do anything, typing is lost there. But with TypeScript you can annotate what this means in every context. And it is great for a lot of use-cases. Why these bugs are not fixed? I don’t know. They brought a lot of attention during the years. A lot of people wanted these things, but Flow team does not share their vision on the project. And they release things that they want, not the community. Talking about releases I must mention their policy: “just release things and make users fix their code”. Here’s the release history and what it has done to my project. Almost every release breaks my code. Considering that it is a template with almost no code – it is really scary. By the way, Flow team does not follow SemVer, they just release incrementally. After one release jsx inside .vue files stopped working. I was not able to fix it ever again on new versions. I took the lazy path: pinned the version and just ignored the updates after this incident. TypeScript has clear release policy, SemVer, and wide attention to the community. It is much better to maintain in the long run. We have made our choice and said “Good bye” to Flow. Now all our projects and our project template supports TypeScript. And we regret nothing!